This post will focus on the standing orders pertaining to pretrial research. In my opinion, none of them grossly limit a trial team’s ability to conduct focus groups, mock trials, community attitude surveys, or any other sort of pretrial research. You simply have to be aware of the orders and conduct your research within the parameters. 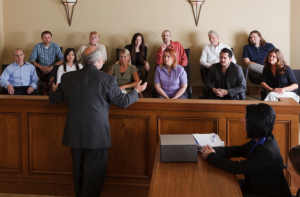 The post 5 Tips for Complying with EDTX Standing Orders on Jury Research appeared first on CourtroomLogic.